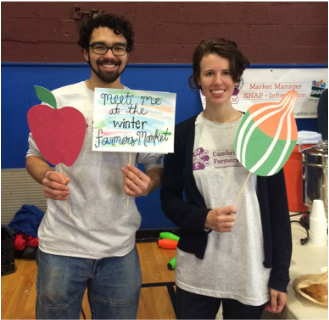 A program of the Cambridge Community Center, the Cambridge Winter Farmers Market provides healthy, fresh foods to residents of Cambridge and the surrounding area including those using SNAP benefits. The market is open to the public. It's a great place to taste and buy a great variety of foods grown and made in New England: fruits vegetables, meat, fish, cheese, breads, preserves and more. We're supporting the local economy and agricultural land use in New England. We're located just outside of Central Square, near the intersection of Western Ave and Putnam Ave. Look for our posted signs on market days.